Now Hiring – Dream jobs! Looking for an exciting, beach filled summer? Is staying perpetually stoked while you work a top priority for you? 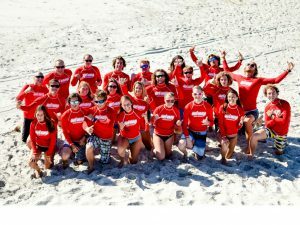 WB Surf Camp is now hiring for summer 2017 and we couldn’t be more excited! If you are selected to join our team you will have the most fun and rewarding teaching experience of your life! Our Quiksilver and Roxy sponsored surf camps offer beginner through advanced surf lessons to kids, teens, adults and families alike! From youth summer camp surf sessions to professional stand up paddle boarding lessons, our world-class programs are the ultimate surfing experience. We are looking forward to a great summer in the water, changing the lives of our customers through the awesome sport of surfing! We are lucky each year to attract a world-class team of diverse professionals that bring with them unique experiences, knowledge and skills. Applicants should also value our mission of promoting environmental conservation and want to make a positive impact. We are looking for service orientated passionate people who have a solid moral character, are responsible, have positive outlooks, and are true team players. We are waiting for YOU! Please visit our EMPLOYMENT page for more info and to apply.